Population growth is the elephant in the room no one wants to discuss. The demographic calculations are there for all to see; humans are a cancer on earth which will eventually kill the host organism. Yet we go on and on about bailouts and arms trading, protectionism and media propaganda - as though this elephant does not exist, casting its shadows over all our meager plans for species salvation on earth. If you are not here to experience the effects of increasing population on a planet of decreasing resources, your sons and daughters will be. By ignoring it, we pass the problem to those we wish to inherit the earth. 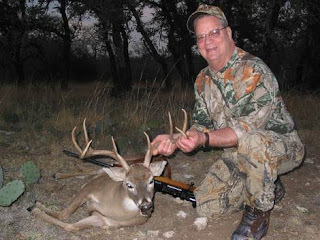 I remember having discussions with 'hunters' about the act of killing animals. How many times the rationalisation was used, 'but we are doing deer a favor by killing them - if we didn't shoot them, they would starve to death. ', I cannot count. I guess that makes hunting OK then. What if the elites who wish their young to inherit the earth use the same argument? Is the thought too horrible to comprehend or consider? I don't think so. The population of earth will be culled: how is anyone's guess: starvation, bioweapons, pandemic, meteor, nuclear war, climate change, either made by man or made by Mother Nature, a cull will occur. The overpopulated regions of the globe will ravage their local environments, cutting down rainforests and the few remaining wilderness areas, in a desperate bid to grow food. And the depletion and destruction of resources will eventually create an overpopulation problem in industrialized nations as well. The resources that industrialized nations consider their birthright will become harder and more expensive to obtain. 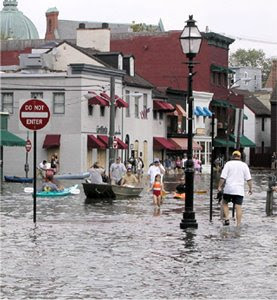 Rising water levels on coastlines, which may submerge coastal nations such as Bangladesh, will disrupt agriculture and displace millions, who will attempt to flee to areas on the planet where life is still possible. The rising temperatures and droughts have already begun to destroy crop lands in Africa, Australia, Texas and California. 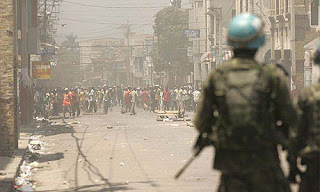 The effects of this devastation will first be felt in places like Bangladesh, but will soon spread within our borders. Footprint data suggests that, based on current lifestyles, the sustainable population of the United Kingdom-the number of people the country could feed, fuel and support from its own biological capacity-is about 18 million. This means that in an age of extreme scarcity, some 43 million people in Great Britain would not be able to survive. Overpopulation will become a serious threat to the viability of many industrialized states the instant the cheap consumption of the world's resources can no longer be maintained. This moment may be closer than we think. 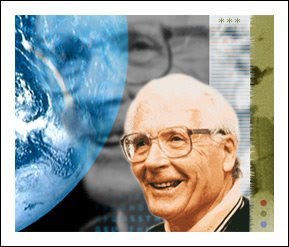 James Lovelock, an independent British scientist who has spent most of his career locked out of the mainstream, warned several decades ago that disrupting the delicate balance of the Earth, which he refers to as a living body, would be a form of collective suicide. The atmosphere on Earth-21 percent oxygen and 79 percent nitrogen-is not common among planets, he notes. These gases are generated, and maintained at an equable level for life's processes, by living organisms themselves. Oxygen and nitrogen would disappear if the biosphere was destroyed. The result would be a greenhouse atmosphere similar to that of Venus, a planet that is consequently hundreds of degrees hotter than Earth. Lovelock argues that the atmosphere, oceans, rocks and soil are living entities. They constitute, he says, a self-regulating system. Lovelock, in support of this thesis, looked at the cycle in which algae in the oceans produce volatile sulfur compounds. These compounds act as seeds to form oceanic clouds. Without these dimethyl sulfide "seeds" the cooling oceanic clouds would be lost. This self-regulating system is remarkable because it maintains favorable conditions for human life. Its destruction would not mean the death of the planet. It would not mean the death of life-forms. But it would mean the death of Homo sapiens. Chris Hedges writes a regular column for Truthdig.com. Hedges graduated from Harvard Divinity School and was for nearly two decades a foreign correspondent for The New York Times. He is the author of "American Fascists: The Christian Right and the War on America." 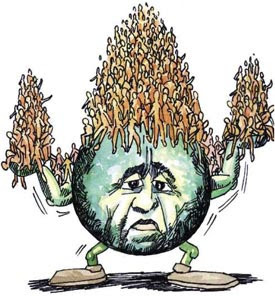 Related: Human Rights Cartoon (82): Overpopulation? Population is the thirs rail of any discussion of sustainability. That said it not just sheer numbers, it's also diproportionate consumption. I read somewhere that in the US a person consumes many multiples of what a person in a dirt poor undeveloped country does. There may indeed be some evil conspiricy of whoever that is plotting to cull us, but mother nature has her own methods that are just as sure and fairly random. I personally would prefer not to be a cullee. Way back in 1991, at the tender age of 16, I was railing against overpopulation. Nobody wanted to hear it then, and they don't want to hear it now. In my 20's I was blown away to find out that there were no doctors who would sterilize me, because I was under 35 and had no children. So its my choice to get pregnant and have an abortion, but it's not my choice to be sterilized????? The herd WILL be culled. I just hope it's mother nature, and not TPTB to do it. Maybe those doctors were doing us all a favor. I'm still a breeder, and I intend to avoid being culled. maitreya....very cool truck you have there. I dont think people are going to catch on about this issue. its just a blind spot. China has the right idea, and that's a 50 year plan. But I look at it like this, could be a meteor hits the planet too.